KETZA PACIFIC CONSTRUCTION (1993) LTD.
Ketza Pacific, based in Campbell River, is a bonded General Contractor that has successfully completed Commercial, Industrial and Multi-Residential projects, including an award winning sports multiplex, several elementary schools and a barge loading facility for a coal mine. Ketza Pacific operates throughout British Columbia and the Yukon Territory. Ketza prides itself as being the regions experts in concrete construction and self performs all aspects of carpentry with its own forces on all projects it manages as the General Contractor. Ketza Pacific is also a dealer for Butler Buildings, the industry leader in Pre-Engineered Metal Buildings. We can design, deliver and erect metal buildings with staggering speed. Please contact us to learn more or visit our Butler Buildings page on this website. Ketza knows the importance of providing opportunities for local employment and is experienced in working in a cross culture environment. Ketza also knows the importance of being an environmentally conscious company. 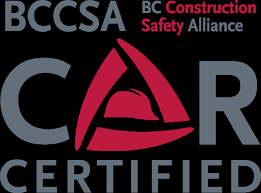 Ketza Pacific has COR certification in both British Columbia and the Yukon Territory. The health and safety on our jobsites is of paramount importance to us.